My son has so much fun learning and discovering new countries around the world. Especially Egypt! In our latest package from Little Passports we received some treats from Egypt. I also checked out some books at the library. 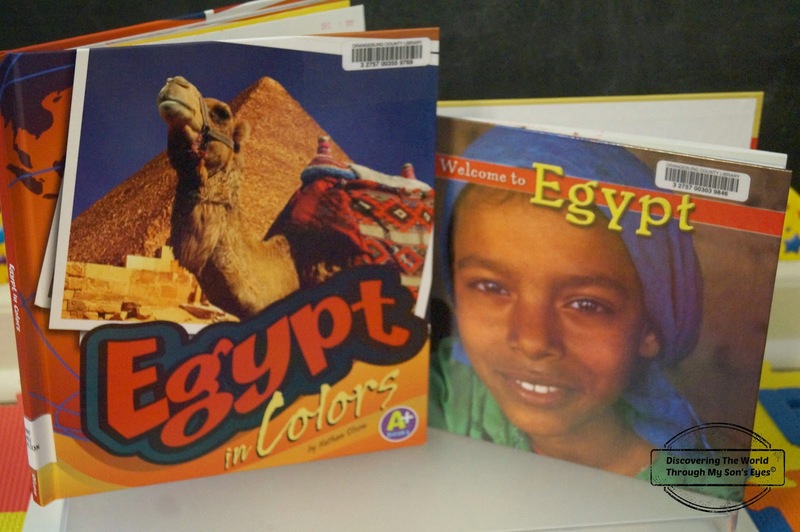 Little one’s favorite is the installment of countries in colors: Egypt in Colors. I also read to him Welcome to Egypt (Welcome to the World) by Patrick Ryan. This book although geared towards children ages 7 and up was useful to show him pictures of how people in Egypt live. 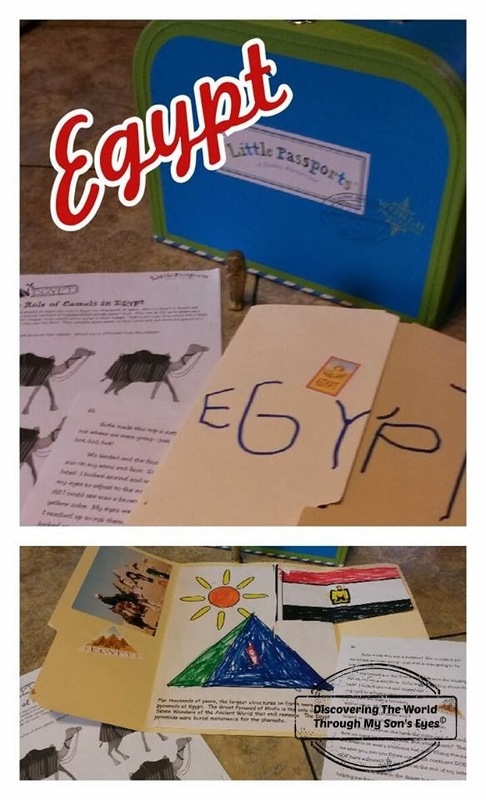 From Little Passports we received Sam & Sofia’s letter, the Egypt boarding pass, 2 Egypt stickers, a picture, and activity sheet and the best part of the package: the pyramid dig kit! Before we even got to the activity sheet decoding hieroglyphics little one was anxious to start digging up the pyramid. It included a small hammer and chisel. We also made a simple lapbook where he colored, and glued a pyramid coloring page, and the flag. He also glued the picture, and the stickers provided in the package. Finally, we went over the activity sheet, and discovered a secret message. Once we finished lesson of the day, he tells me he wants to go to Egypt, and see a pyramid. Who knows?! Maybe one day we can make a family trip abroad, but in the meantime we’ll just discover the world with Little Passports. About 90 percent of Egyptians are Muslim, which means they are followers of the Islam religion. Islam dominates Egyptian society. About 10 percent of Egyptians are Copts, one of the oldest branches of the Christian religion. Egypt’s population is growing rapidly. This puts strains on Egypt’s resources, since most people live in a narrow strip of land along the Nile River. Having so many people in such a small area causes overcrowding everywhere, from schools to apartment buildings to hospitals. How cool is that pyramid dig! Little passports sounds like such a fun way to learn about the world. Next Post: Are you Native American, Mexican or Indian?